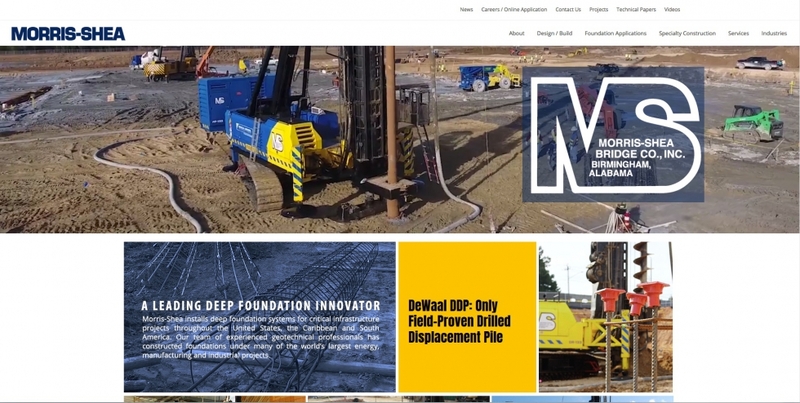 Ninetimes has completed development of a new Morris-Shea website that presents the full scope of the geotechnical contractor’s deep foundation and earth retention capabilities. Ninetimes design and IT professionals worked closely with the Morris-Shea team to create an online presence that encompasses the full scope of Morris-Shea’s geotechnical applications. 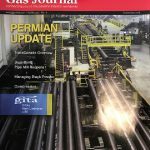 Comprehensive information about all Morris-Shea’s geotechnical techniques can be found at the new website. 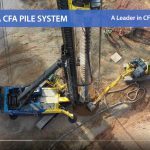 Foundation applications such as the DeWaal Drilled Displacement System, large diameter Continuous Flight Auger (CFA) piles and cofferdam structures are presented with galleries of jobsite construction photographs and technical data. Information about specialty construction techniques such as secant walls and restricted access jobsites is also available. MorrisShea.com includes technical information about recent signature projects for Disney, Google and YouTube. Reprints of news articles from leading industry publications relating to these projects are also included. 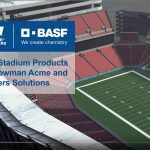 A comparative article produced by Ninetimes and Morris-Shea presents the application differences, benefits and success of the patented DeWaal Pile System over knockoff DDP foundations offered by other contractors. Morris-Shea controls the installation rights for DeWaal installations throughout the Western Hemisphere. Morris-Shea design/build and site investigation capabilities are referenced online at the new website. Technical information about Cone Penetration Testing (CPT) is included. Morris-Shea is the only deep foundation contractor in North America to field unique IHC Fundex drill rigs. Photographs of the contractor’s equipment fleet are presented throughout the new website. The site includes a photo gallery of Morris-Shea’s steel cage manufacturing operations and links to interesting construction videos produced by the Ninetimes team. Morrisshea.com also offers easy access to career opportunities with this leading deep foundation contractor. A list of current job offerings and an online employment application are available at the site. Morris-Shea’s comprehensive Safety Program is outlined in the website’s About section. Ninetimes continues to expand the Morris-Shea website with additional information regarding new projects, technical papers, news releases, geotechnical applications and construction jobsite photographs. Ninetimes is also mounting an ongoing SEO initiative and maintains a successful YouTube search program for various Ninetimes-produced deep foundation videos that populate the Morris-Shea YouTube Channel. Ninetimes is an award-winning advertising design firm specializing in realistic illustration, 3D animation and video. Our illustrated product and service images provide the flexibility needed to bring great marketing concepts into reach. Ninetimes can add fresh impact to a mature product or present an engineer’s newest development in a realistic or conceptual scene. Our graphics have been used internationally by market leaders in transportation, construction, manufacturing, energy and telecommunication industries. Ninetimes designs advertising for online, interactive, magazine, collateral, video and exhibit presentations.